When I came back to Goshen from Korea I started living with my girlfriend, who is now my wife, and ended up in a house with three other musicians. We started jamming and we played together weekly. A while later I needed a way to propose to my wife, so my friends and I started a group and played in Art Alley at a January First Fridays. There, we played my wife’s and my song and I proposed to her. That was super fun and a great way to get friends and family there. After that, we played as a band at the wedding and wanted to keep doing this. So in 2013 that band became what is now: The Tumbleweed Jumpers. Growing up I lived in Elkhart, but my mom and dad were always doing stuff in Goshen. My dad had a pottery studio for 30-some years in the Old Bag Factory, so we were always around. I moved here officially to attend Goshen College, where I graduated in 2009. I started playing piano at age 7 and was involved in anything musical I could get my hands on – groups at Concord, jazz groups, orchestra, outside ensembles, etc. 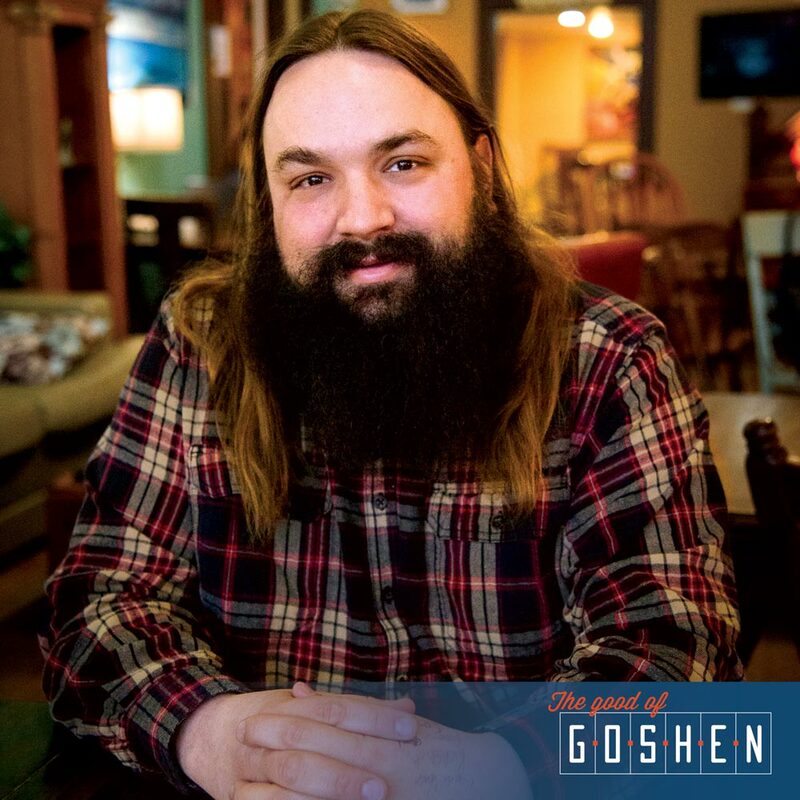 When I started at Goshen College I was a music minor but I quickly realized how much music education had impacted who I was and started down that path. I’m now an elementary school music teacher!